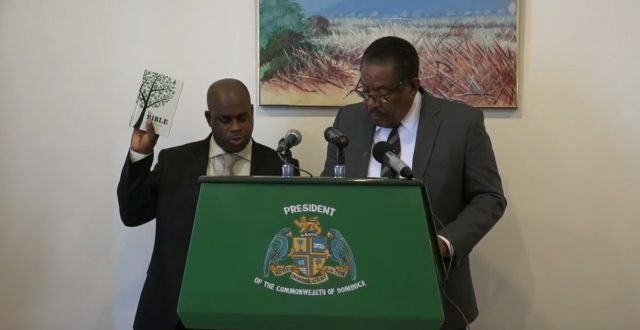 Independent Candidate Joseph Issac was officially sworn in TODAY, Friday as the Minister for Environment, Climate Resilience, Disaster Management and Urban Renewal. The ceremony took place at the office of the President of Dominica His Excellency Charles Savarin. Issac said he is committed to transforming Dominica into the first climate resilient country in the world. Issac outlined his initial plans that we take on as the new minister. Meantime, Prime Minister Roosevelt Skerrit said Issac’s entry into Cabinet is a serious one.